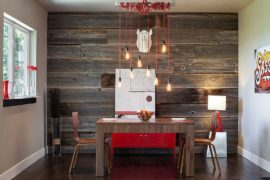 The first few months of 2017 have seen wood emerge as the big winner when it comes to home design and decorating. 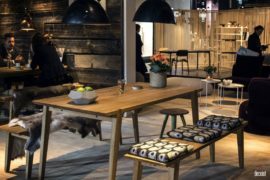 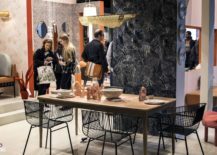 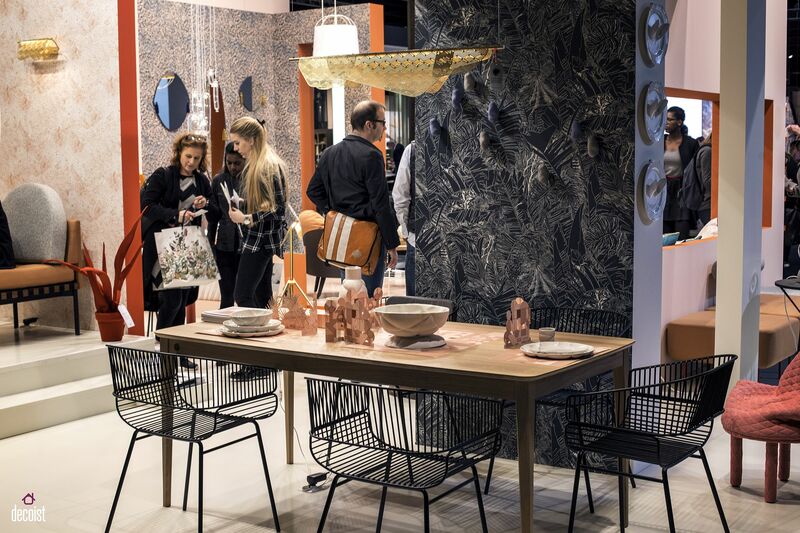 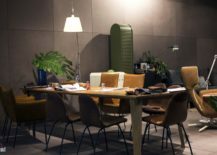 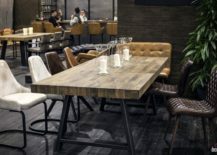 Inclination of homeowners and designers towards materials that are far more natural and an ambiance that is relaxing and warm has meant that wood has topped the trends chart in the past few months. 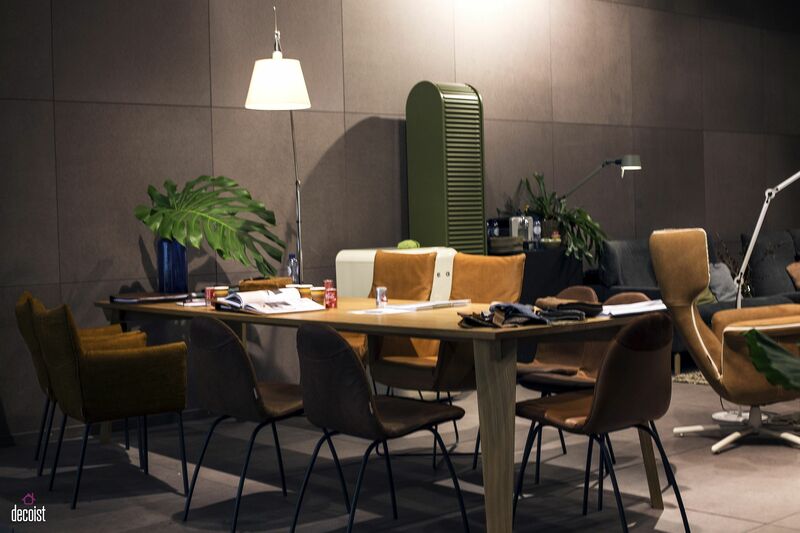 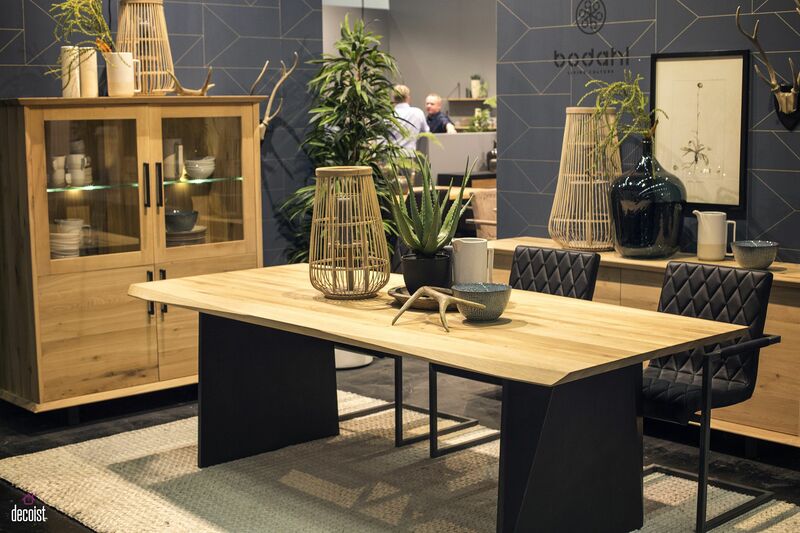 From fabulous wooden siding, to wooden ceilings and slats that combine privacy with insulation, wood is quickly becoming the go to material in the contemporary interior. 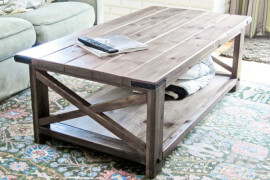 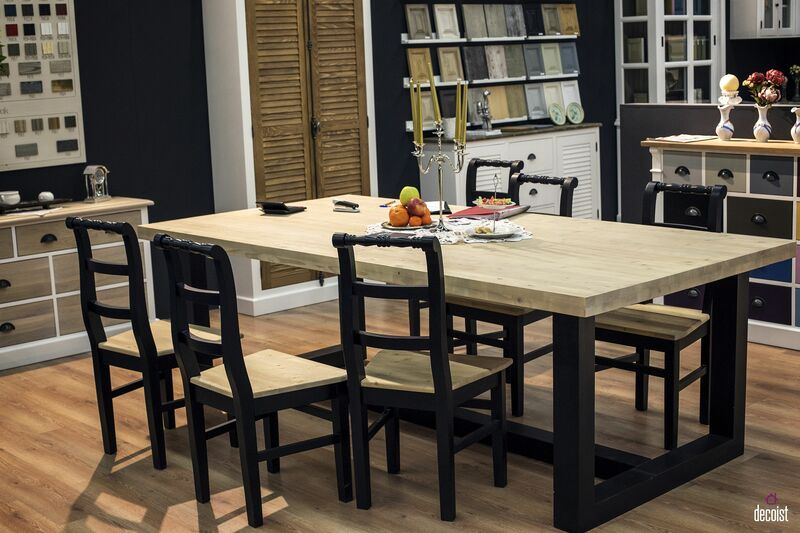 So, why not jump in on this natural bandwagon by bringing wood into your dining room? 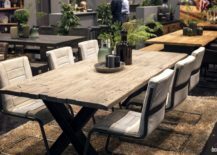 Gone are the days when the wooden dining table was relegated just to the classic, rustic or farmhouse style dining room. 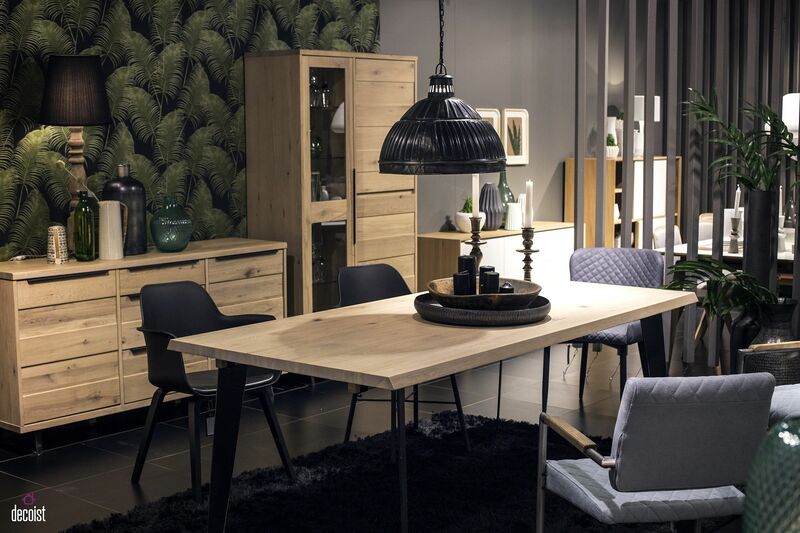 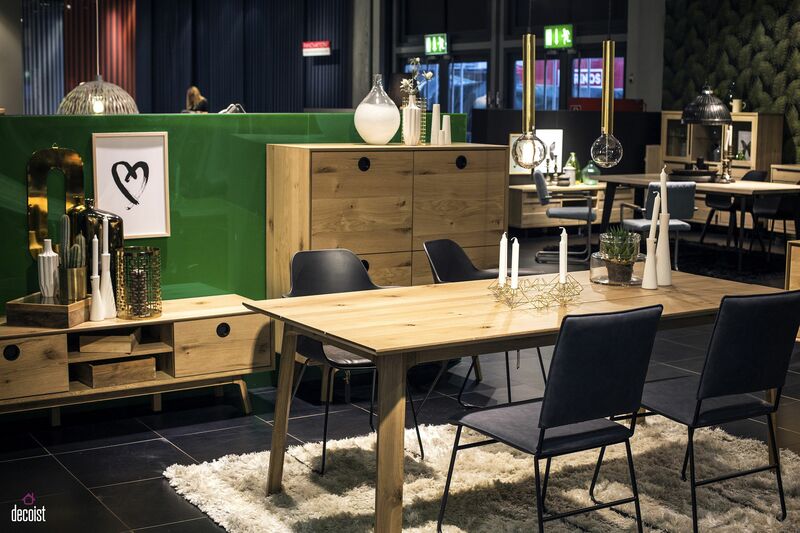 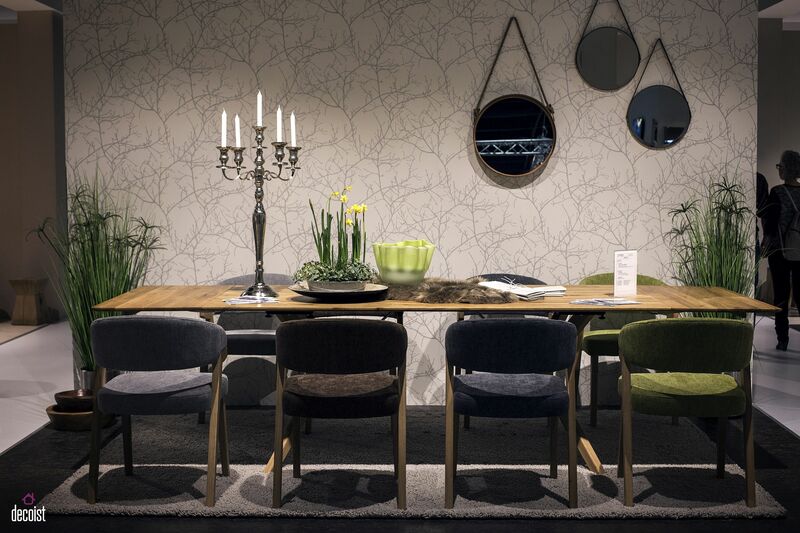 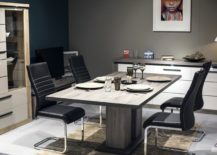 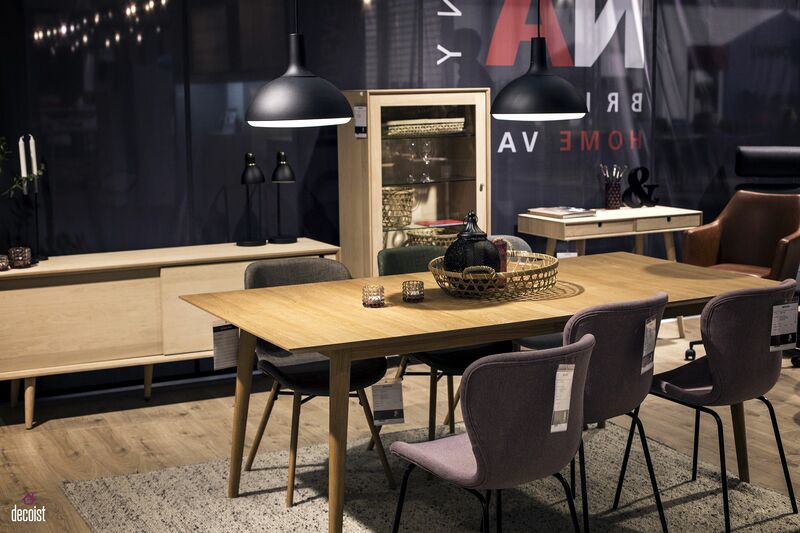 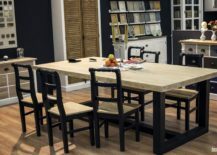 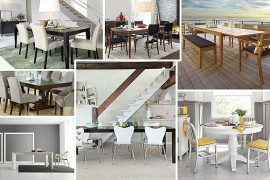 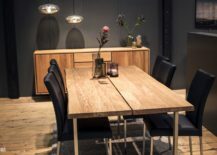 Today’s creative designs allow you to add the wooden dining table to even the most contemporary dining rooms with ease. 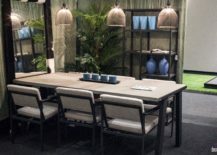 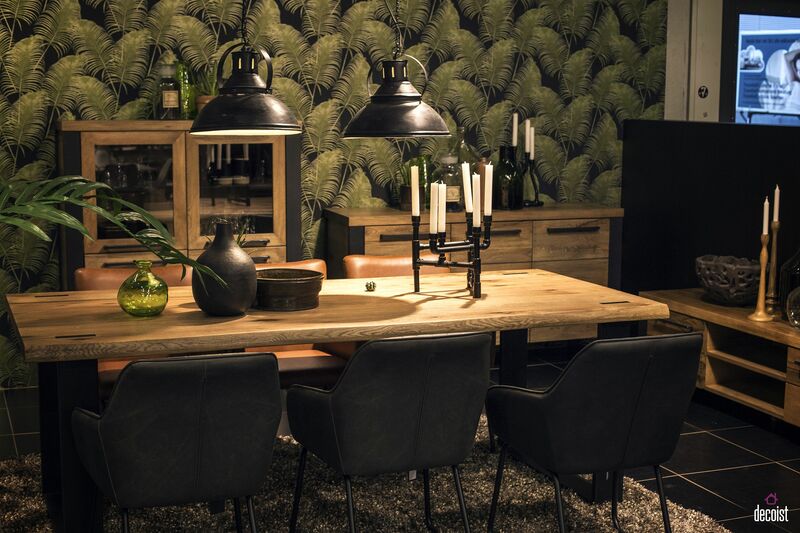 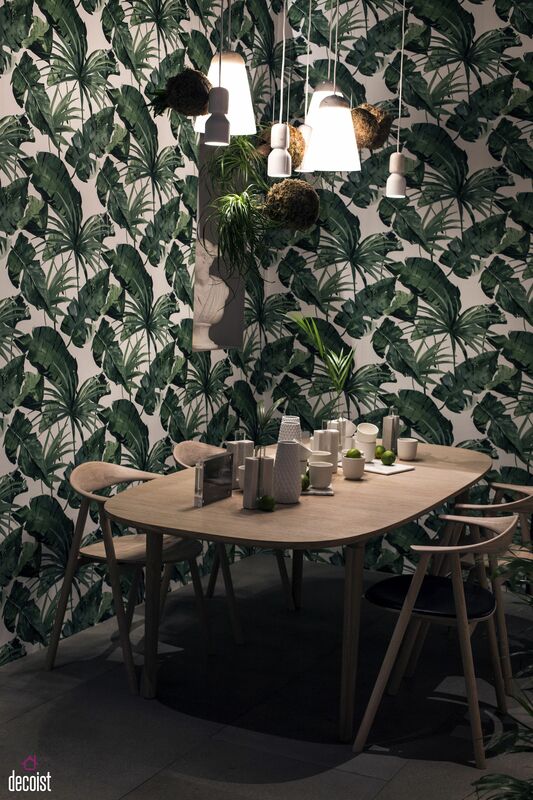 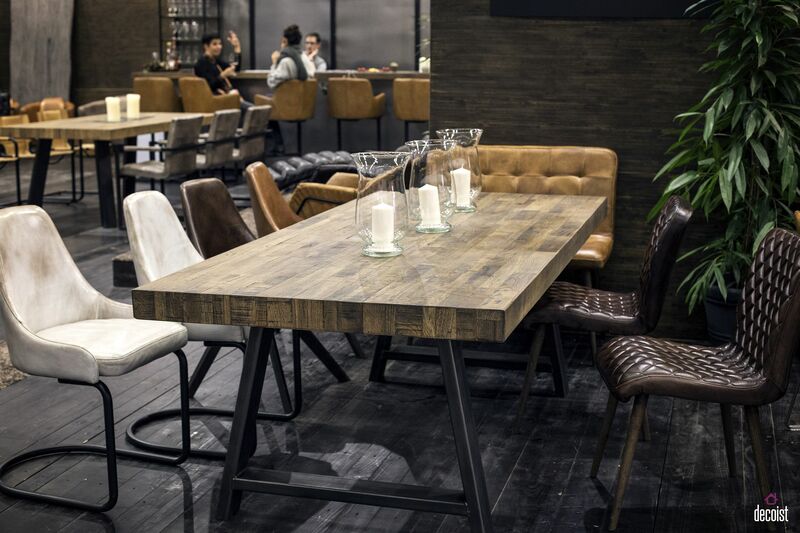 Try out the fabulous wooden table in the tropical dining room to give it a more organic touch or usher it into the industrial dining space to counter the already existing heavy metallic influences. 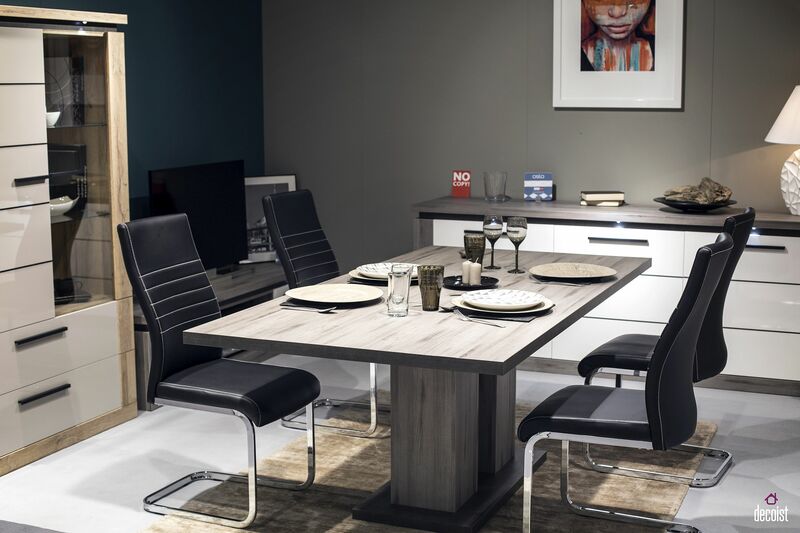 An ultra-sleek table with clean, modern design looks great in almost any contemporary dining space and its presence definitely adds contrast to the sophisticated open plan living. 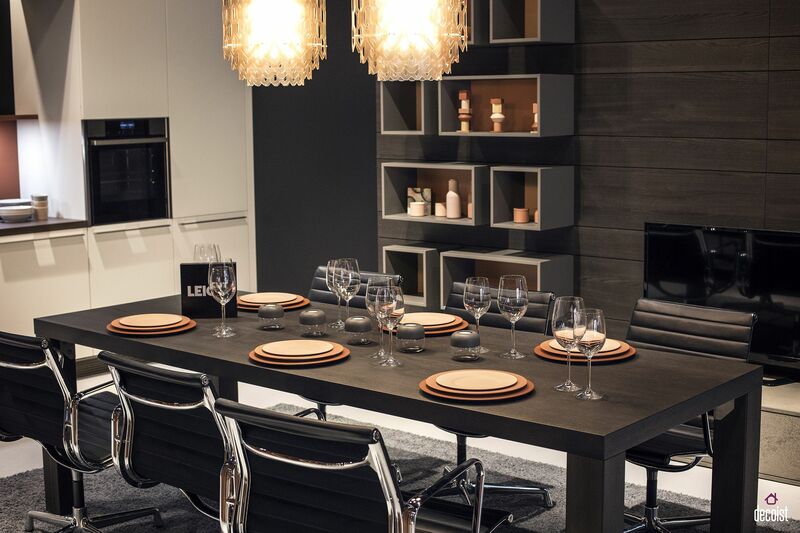 A great way to bring the modern dining room in neutral hues to life, even while using a wooden dining table, is to turn to black. 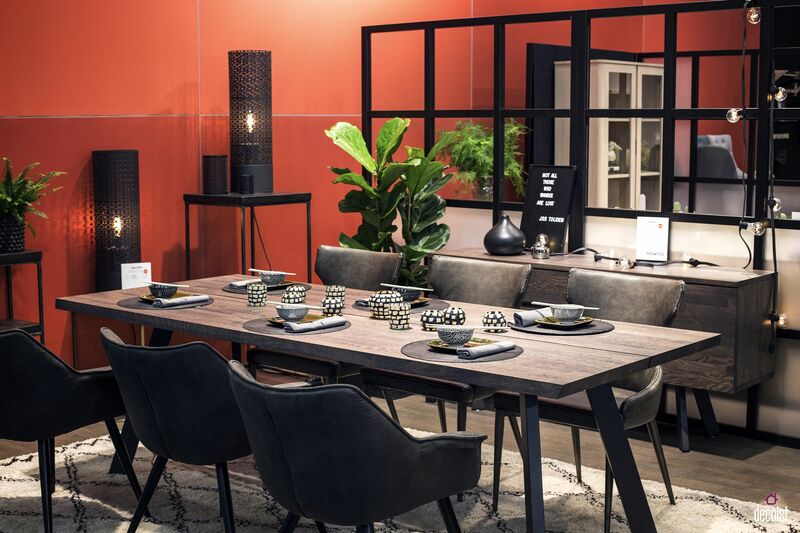 Black anchors these breezy dining rooms, accentuates the key features of the dining space and also allows the dining table to shine through. 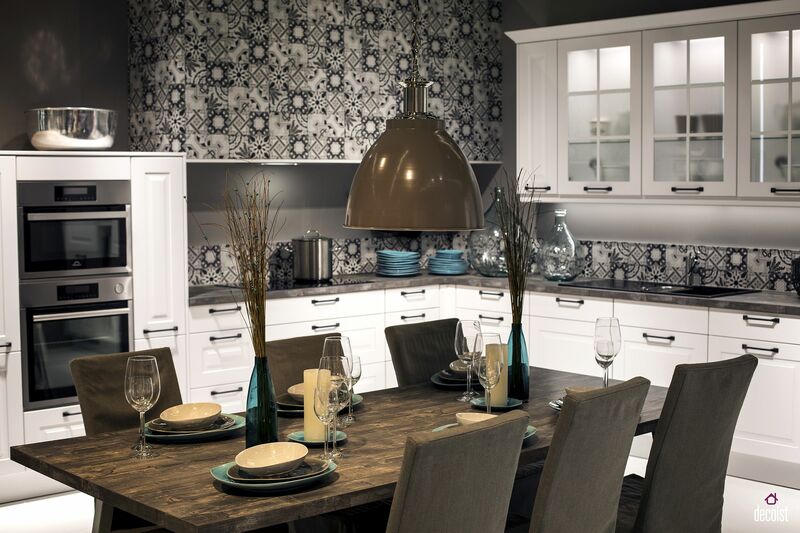 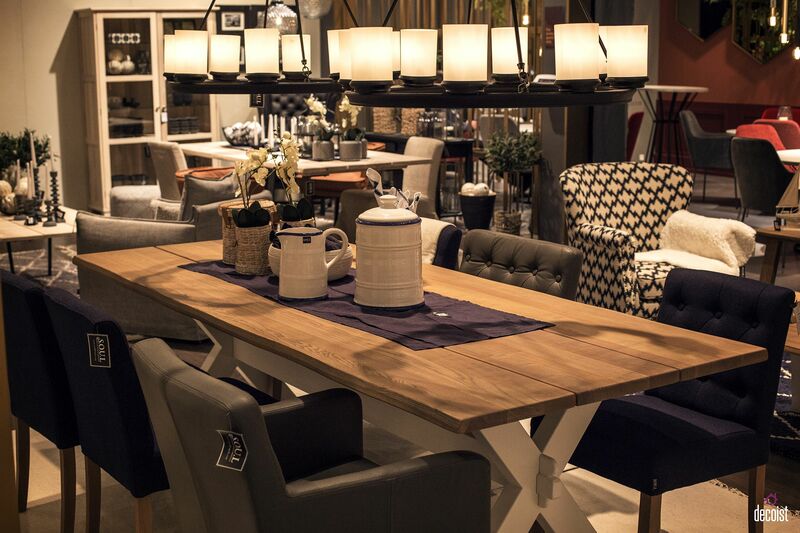 This can be done using pendant lights, chairs around the wooden table or a classy, dark tabletop itself. 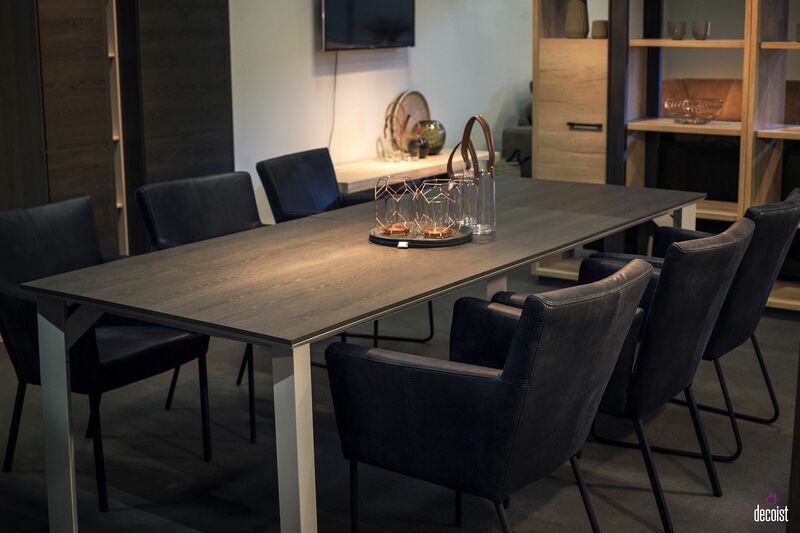 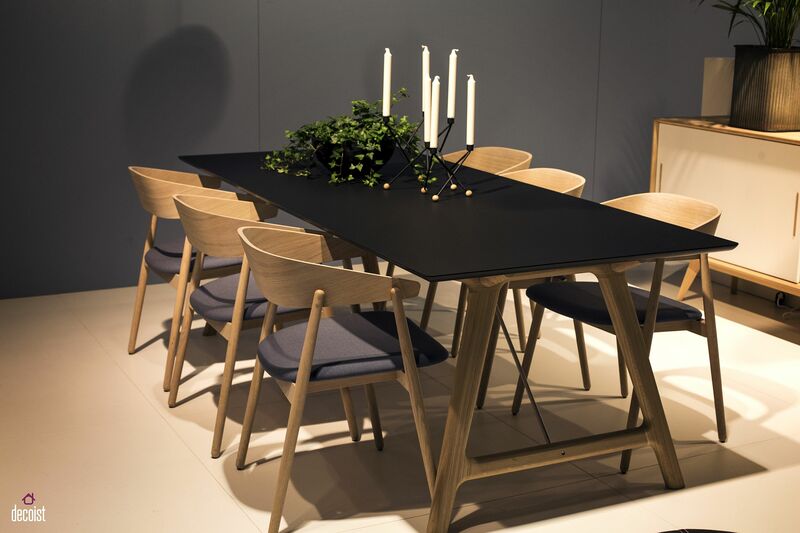 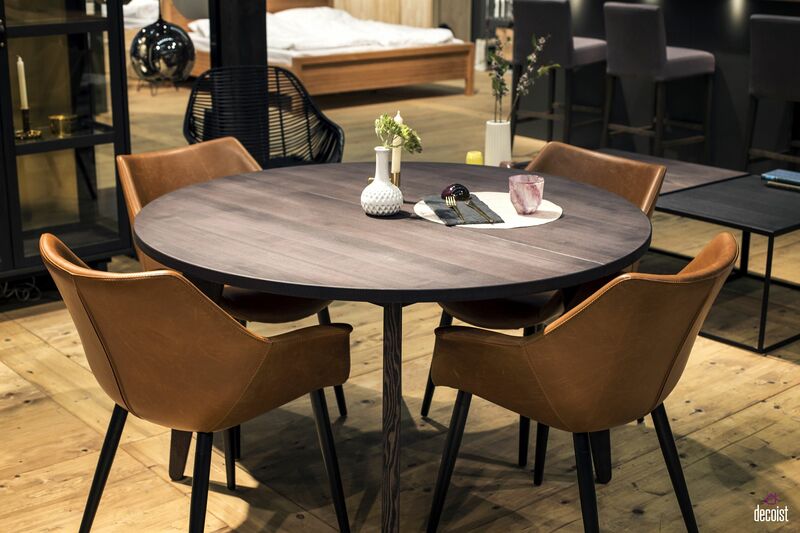 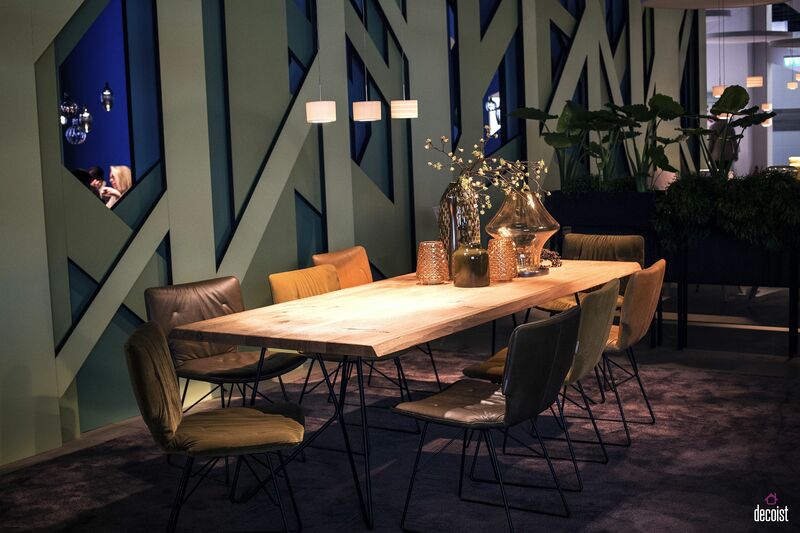 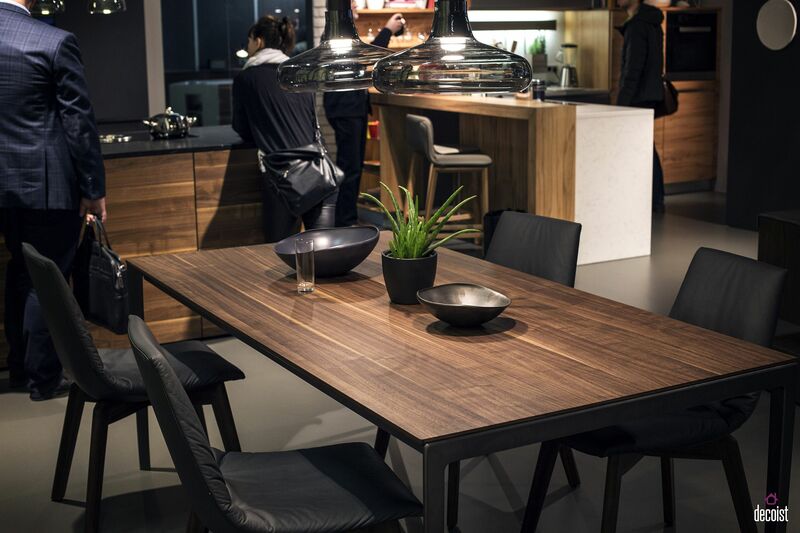 Using darker tones of wood for the dining table and chairs next to it also adds to its dramatic aura and turns the table into the focal point of the room. 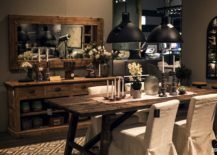 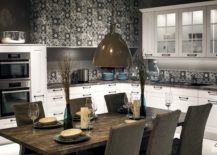 Modern dining rooms with a rustic, industrial or farmhouse flavor are quickly becoming the most preferred options among homeowners. A gorgeous dining table with wooden top is a huge part of this narrative and definitely gives the room a more rustic or classic appeal. 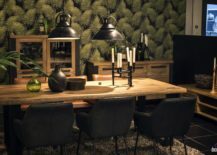 If you really wish to accentuate this aspect of the dining room, then consider a live-edge dining table that is both unique and exceptional in every sense of the word. 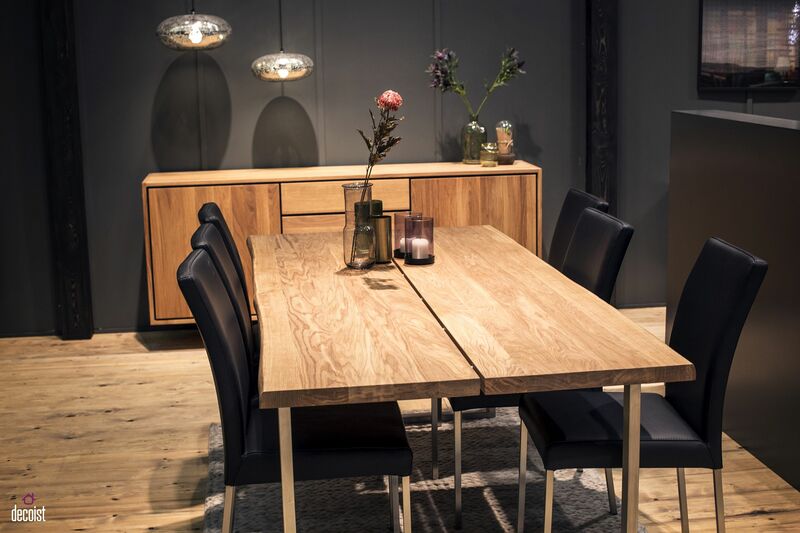 A cool credenza, hutch or even sideboard in wood that complements the dining table is a smart way to repeat woodsy charm in the room without going overboard. 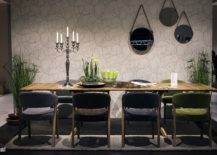 Chairs next to the dining table need not always be wooden themselves and you can easily use an eclectic mix of chairs varying from those in luxurious leather to ones with metallic frame. 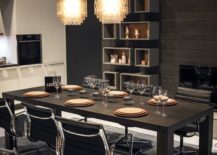 It is the décor around the table along with the color palette of the room that truly define its style and mood! 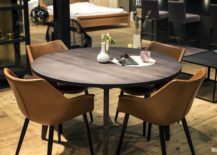 The round wooden dining table with a pedestal base is undoubtedly the most obvious option for those shopping for a space-savvy dining table. 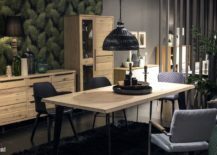 In small studio apartments, urban homes and open plan living areas, this tiny delight can deliver exactly what you need without taking too much square footage. 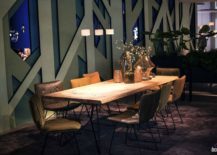 You can also tuck in the chairs when they are not in use, saving up even more room. 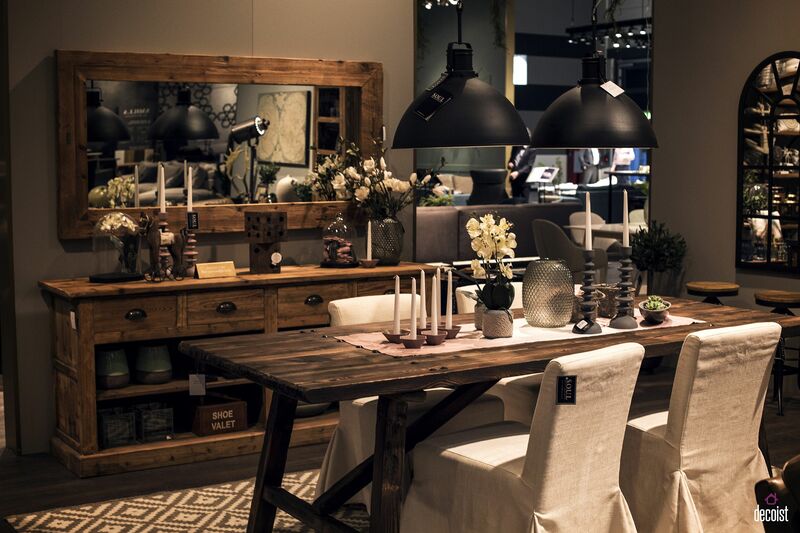 If you wish to stick to the square ding table in wood, then turn to lighting and mirrors to save the day.